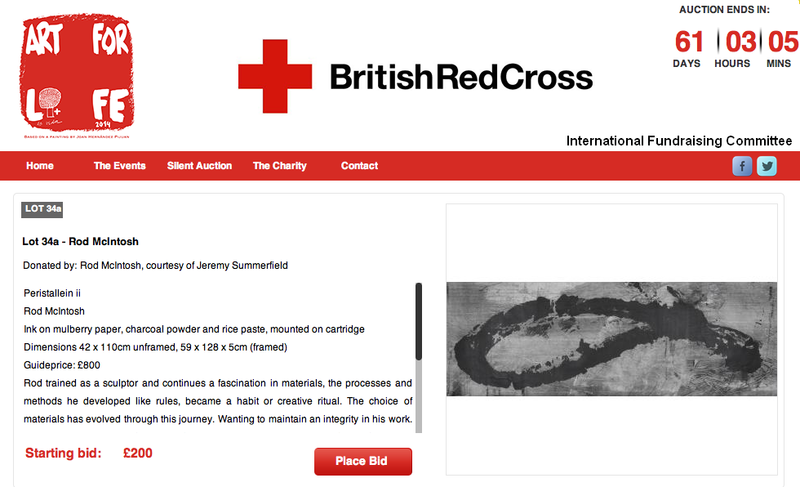 I have donated a piece of work to go into an auction in aid of the The British Red Cross. The “Art4Life” project includes three different art events. The Art for Life launch party & auction of donated artworks; an exhibition of Joan Miro’s iconic ‘Tapestry of Tarragona’ and the fantastic art collection of the Catalan Red Cross; and the Children 4 Children art competition. Check out my lot (perhaps make a bid) and see what and who else has donated.